On June 12, emergency workers responded to the scene of an accident involving a motorcycle. The accident occurred in Chelmsford, near the intersection of Golden Cove Road and Boyd’s Lane. Emergency responders were dispatched to the area shortly after hearing of the accident around 6 in the evening. According to police, one motorcyclist was hurt when the motorcycle collided with another vehicle. The injured individual was transported by ambulance to a local hospital. Initial reports do not verify if the motorcycle or the other vehicle was responsible for the collision. Traffic was redirected with backups due to rush hour. The identity of the victim has not yet been released, and the victim’s injuries appear to not be life-threatening. Motorcycle accidents can sometimes be quite serious and even deadly at times. The risk of a motorcycle accident being severe should remind us all to remain cautious and drive attentively whenever we are in command of a vehicle. 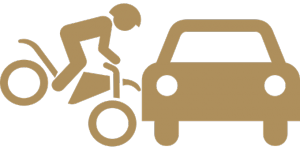 Drivers must remember to look out for smaller vehicles such as motorbikes and share the road with them, and motorcyclists must also follow the rules of the road at all times and do their part to prevent accidents. We must all work together to prevent these accidents from happening. We wish healing and recovery to the injured victim in this accident. Motorcycle accidents can sometimes be some of the most severe incidents that happen on our roads. This is because people on motorcycles are not protected by a vehicle and impact can do a great deal of damage. All drivers, whether they be in cars or on motorbikes, have a responsibility to look out for one another and do their part to keep roads safe and clear. Vehicle accidents and motorcycle accidents can devastate families. As members of this community, we want our roads to be safe for everyone. We ask all drivers to do their part to keep tragic accidents from occurring by driving attentively. At the Law Offices of Jeffrey S. Glassman, we wish these accidents did not happen. However, we know they cannot be completely avoided, so we are also here to help victims get the help they need so they can focus on the healing process.